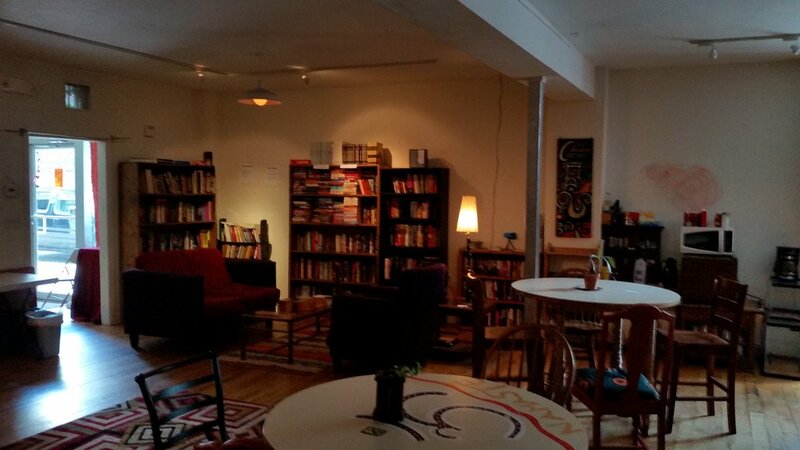 Chaos Bookery is striving to establish a used bookstore and coffee shop that will be open very late into the evening. Some of our goals are to increase access to books, promote the exchange of information, and to make a space that encourages intellectual discussion and collaboration. Used Books have their prices listed inside the first few pages in the top right hand corner. Books can be purchased by bringing them to a representative of either The Hearing Room or Chaos Bookery. The price of books is negotiable. To negotiate you must attend a Book Court session. Book Court is in session any time that Skippy is present. You can request a session via email by contacting Skippy at chaosbookery@gmail.com. Come sit down read a book and listen to some live music.